Palestinian medical sources have reported that a child was moderately injured, in Yatta town, south of the southern West Bank city of Hebron, after being hit by an Israeli settler’s car.The sources said the Shehda Mahmoud al-‘Amour, five years of age, was struck in Khallet al-Mayya area, in Yatta town, south of Hebron. The Israeli settler tried to drive away after wounding the child, but local residents managed to stop him, before the army arrived at the scene. 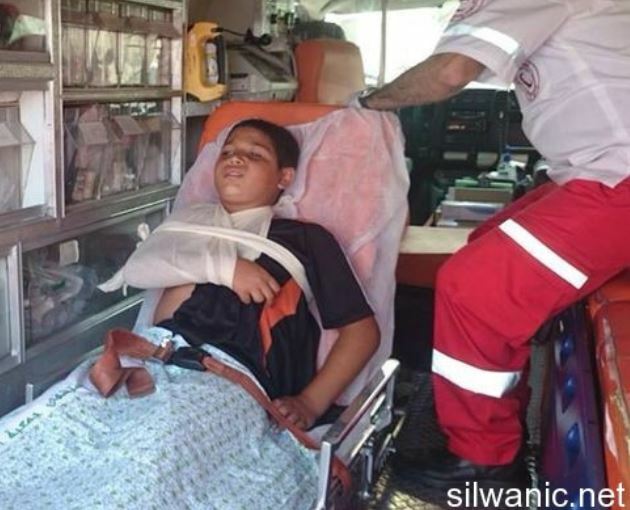 Red Crescent medics provided the wounded child with the urgently needed treatment, before he was moved to an Israeli hospital for further treatment.